If you’re a beginner baker, biscuits are an easy and delicious starting point. 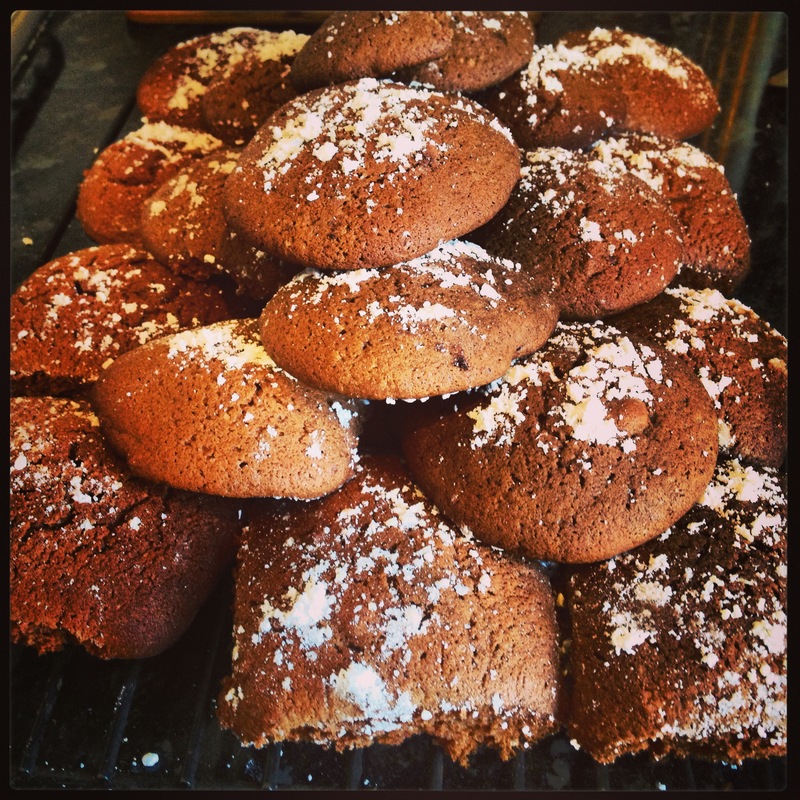 These Chocolate Spiced Cookies are yummy – crunchy on the outside and soft on the inside. Perfect! Heat the oven to 180C and line 2 x baking trays with oven paper. Add the butter, sugar and vanilla essence to a large bowl and use electric beaters to cream. Add the eggs, egg yolk, melted chocolate and milk to the bowl and use the electric beaters to mix until fluffy. Shift flour, cocoa and all spice into the mixing bowl ensuring all lumps are removed. Add the chopped walnuts and guess what now, use the electric beaters to mix until fluffy. NOTE: if you’re okay with eating raw egg, which I am, you can stop the process here and enjoy one of the nicest chocolate mousse’s you will have ever eaten. It is seriously delicious; so much so that I even put some aside in a container for a certain batter eating friend to munch on. Roll the mixture into tablespoon sized balls, place on baking trays leaving a good 3-4cm between each cookie as they spread and bake for 18 minutes or until they are starting to brown. Remove from the oven, allow to cool for five minutes before transferring to a wire rack to cool fully. Sprinkle with icing sugar and share with friends. yum! and thanks for sharing my link! Not a worry Jess – your recipe looked so yummy!